Through Sumner Redstone’s company, National Amusements, the billionaire’s family controls Viacom, which owns networks including MTV and Nickelodeon. But how much he still controls his family and business affairs is a mystery, and is disputed in multiple lawsuits. Keryn Redstone’s email to attorneys two years ago indicate that Sumner Redstone’s “mind and his health” were in “far worse condition” than she had previously witnessed only months earlier. “In between his fading awake state, he cried and mumbled and could not focus or concentrate,” she added. The email raises renewed questions about Sumner Redstone’s mental acuity. His absence from the public eye has led to speculation about whether Shari Redstone is acting on his behalf, or her own. The Wall Street Journal reported in April that the elder Redstone has been communicating through an iPad with a voice-activated function that includes “yes,” “no,” and “f— you.” But little else is known beyond that. Shari Redstone has spent much of this year trying to re-merge CBS and Viacom over the objections of CBS CEO Les Moonves, who has stepped down over accusations of sexual harassment. Sumner Redstone separated CBS and Viacom in 2006, and it is unclear whether he supports Shari Redstone’s efforts to reunite them. In her email, Keryn Redstone said Shari Redstone, her aunt, had kept her from seeing Sumner Redstone. “When I asked my Grandfather if he knew who I was, he said no. When I asked him if he knew that Shari had prevented me from seeing him – he said no. I asked him if he knew who represented him – I asked him if he knew who his attorneys were – he said no. He was in and out of consciousness every 20-30 seconds. Many – if not all – my questions to him – I had to repeat several times,” Keryn Redstone wrote. The Redstone family is feuding over control of an estimated $40 billion media empire. On Oct. 26, California Superior Court Judge Patricia Nieto is expected to rule on a motion in a case filed by Sumner’s former girlfriend and longtime confidant Manuela Herzer. 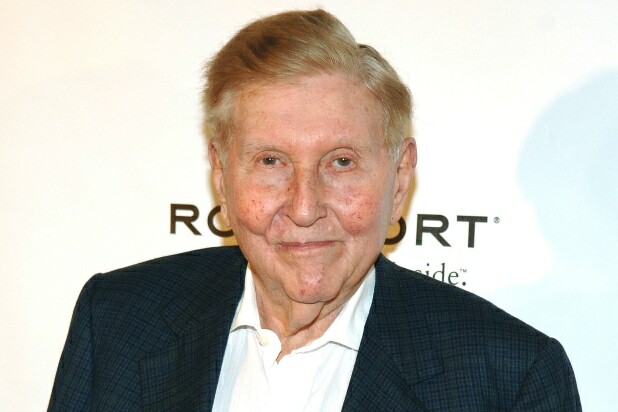 At issue in the suit is whether Sumner Redstone had the mental capacity to hire his lawyer, Rob Klieger, to file the lawsuit against Herzer, which demands the return of $70 million that the suit says Sumner gave to Herzer. Keryn Redstone wrote the “ghost” email to attorneys to support Herzer’s lawsuit. Herzer depicts Shari Redstone as a conniving daughter hellbent on taking over her father’s media empire, with little regard to his directives. “With no one to answer to, Shari also began removing Sumner’s long-time friends and business associates from positions of corporate power at Viacom and CBS and installing her own allies as their replacements,” Herzer’s lawyers argued in an Oct. 3 filing. Keryn Redstone, who in August 2016 petitioned the court to allow her to join the lawsuit in support of Herzer, said in her email that hired medical staff tried to turn her grandfather against her: “The nurse openly and directly participated in trying to poison my grandfather against me during my visit,” she wrote. 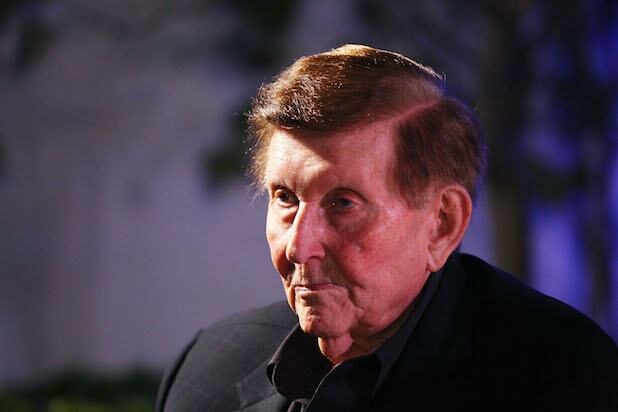 In a recent motion seeking a medical examination of Sumner Redstone, Herzer’s lawyers pointed to an iPhone video a form January 2018 made by Sumner Redstone’s longtime friend, Hollywood movie producer Arnold Kopelson, who died Monday at the age of 83. Herzer’s lawyers also said that a geriatric psychiatrist, Dr. David Trader, who reviewed the video, had “serious concerns” about Sumner Redstone’s “cognitive capacity,” and found it “extremely unlikely” that Sumner Redstone could have authorized the lawsuit against Herzer.